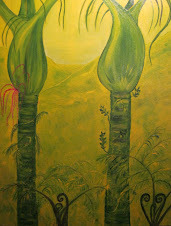 welcome you to Moirai to enjoy our Art and browse our gardens! 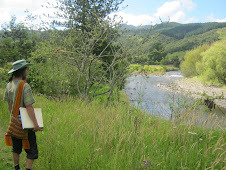 Out on Location - Sharing the Natural Beauty which inspires our art! 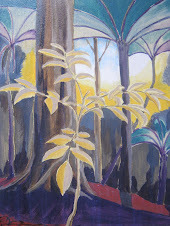 You will be warmly welcomed when you visit the exclusive Moirai Studio/Gallery, northern gateway to the magnificent Waipoua Kauri Forest, on State Highway 12, 4 kms to Tane Mahuta, near the beautiful Hokianga Harbour, Aotearoa New Zealand. 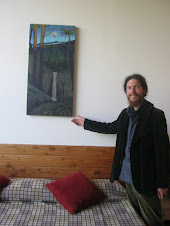 Our original artworks are available for viewing/sales, in our private working studio set in spectacular bush surroundings and our permaculture garden, either by appointment or when you see the Open sign. Email us at: ( moirai@xtra.co.nz) ... We look forward to hearing from you! 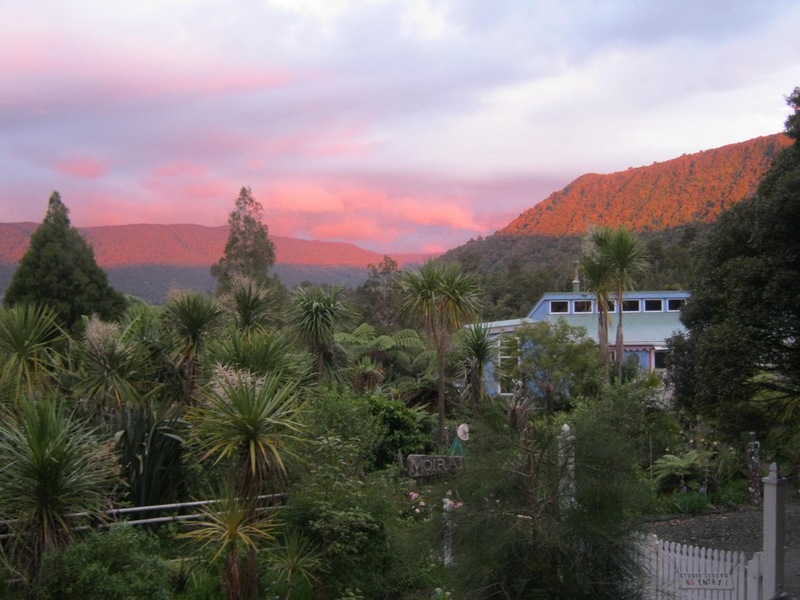 At Moirai we honour our position in Tane's Garden, and live a peaceful, holistic way of life in harmony and balance. 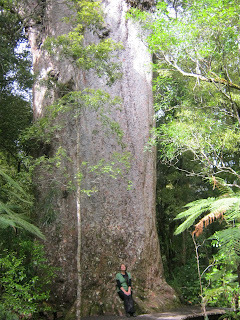 If so, please allow time to visit the Katui Kauri Gum Store, S.H. 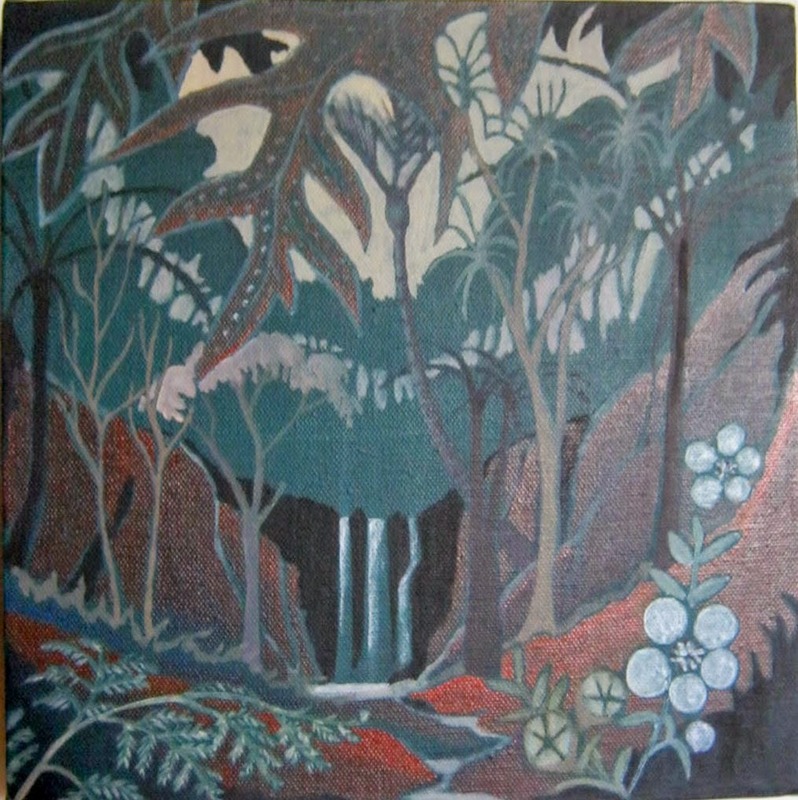 12, on the southern side of the Waipoua Kauri Forest as we are proud to advise that a good selection of our original paintings and cards can be viewed or purchased. 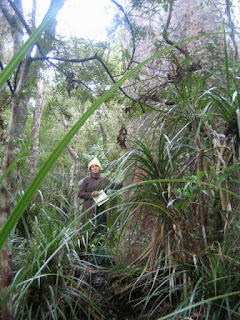 Our work can also be found further north at Morells Cafe, Waimamaku and the unique Labyrinth Woodworks + Maze, in the Waiotemarama Gorge. 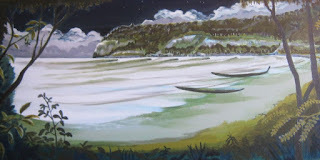 By the harbour, we have some crafts at the Boatshed Cafe, Rawene, while Cafe Omaparadise and the Hokianga I-site in Opononi stock a full range of our unique art cards. 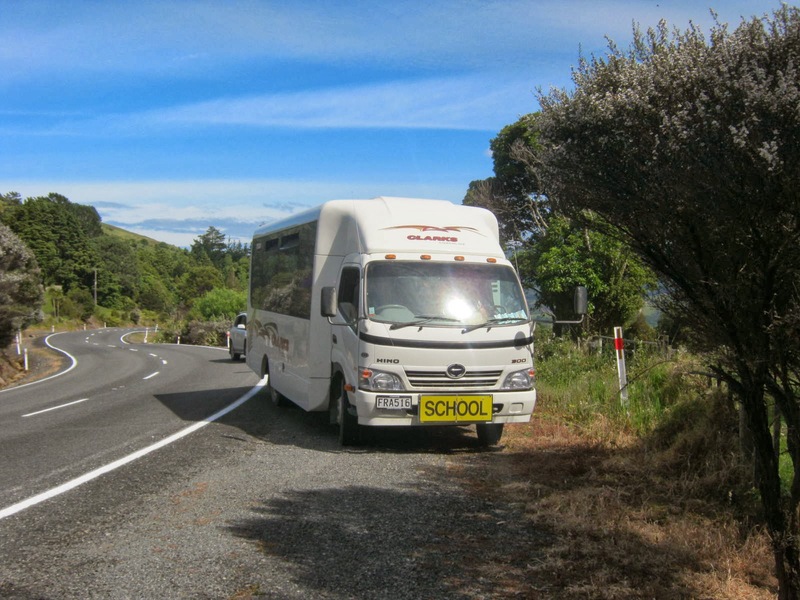 The now famous Hokianga Heart Trail (Te Ara Manawa) promotes local artists and artisans whom you may visit on your tour of the Hokianga area. The Heart Trail brochure is available from the I-site. 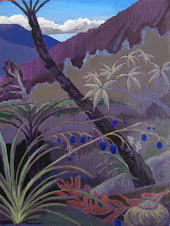 Further afield, artcards from the Moirai Studio are also available at the world famous Kauri Museum in Matakohe. Original Art Cards for sale now! 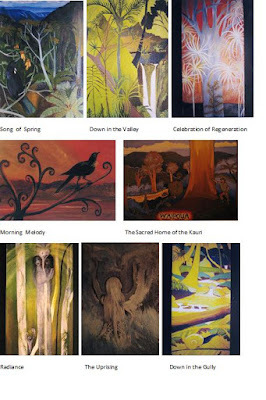 A limited number of Moirai Studio Original Art PostCards featuring images of our paintings, shown in the montage above and individually below, are now available. 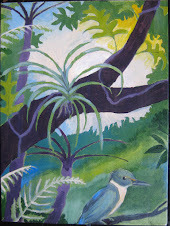 The price for each individual Art Card is only $5 plus postage! 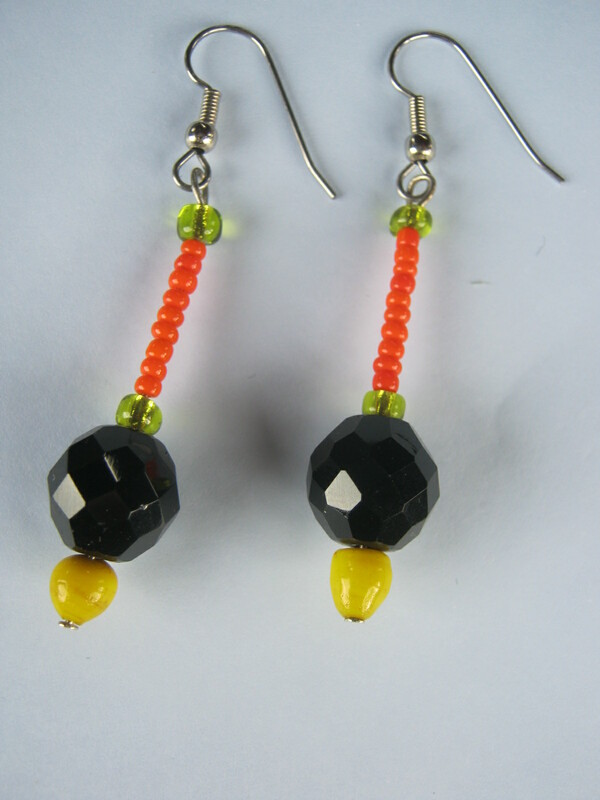 Please email moirai@xtra.co.nz for further enquiries and to place your order (which will be dispatched promptly). Our Colourful Greeting Cards are available ~ Order by email! 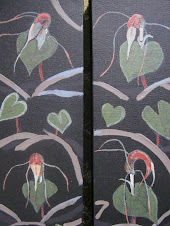 These are folded A5 size ( 104 x 148 mm), blank inside, with the title and artists' poetic -descriptive statement on reverse. As for our art postcards, each card features an image of one of our original paintings, and comes with a quality envelope. 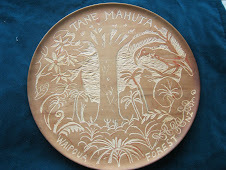 They make fantastic gifts or momentos of your visit to the Waipoua Kauri Forest (home of Tane Mahuta) and the Hokianga! All of the cards also look great when framed, and are, in essence, 'mini original art prints'. 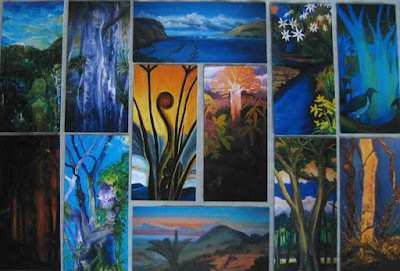 All of our range of cards are available now ($5 each plus postage) by visiting us at Moirai Studio/Gallery, or simply email to order moirai@xtra.co.nz ! 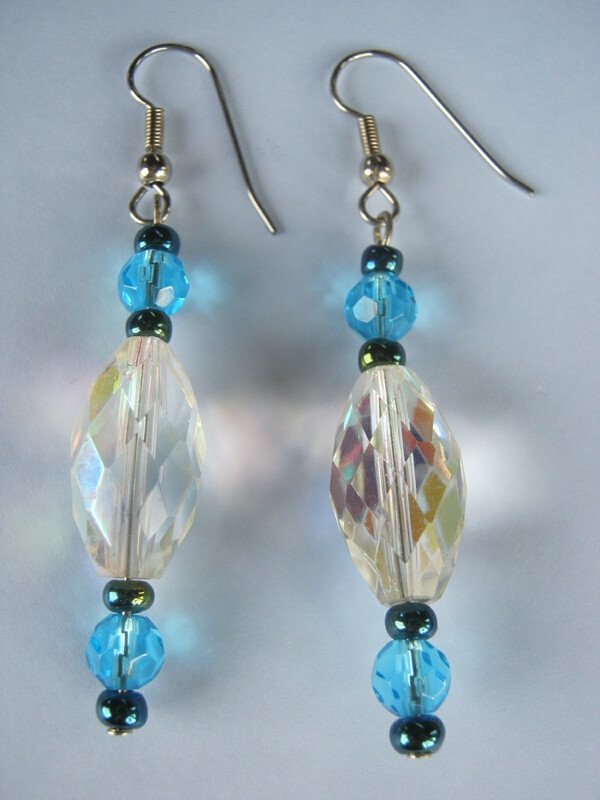 Please note that all our artworks and merchandise are copyright of the artist and Moirai Studio. No images are to be reproduced without permission and we retain copyright once sold. 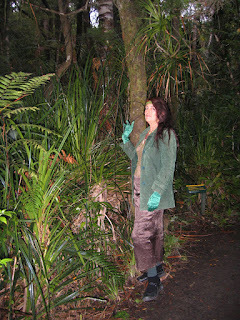 Diane's wonderful handmade bags and our woven pendants made from ancient Kauri Gum, each piece of subfossil resin unique and many thousands of years old! 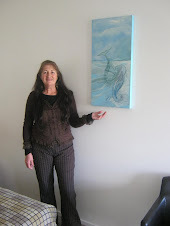 I have been painting, writing and creating since childhood. 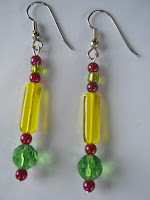 I live my Art as an everyday way of life. 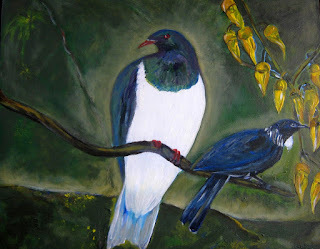 Freedom of creative expression is important to me which has allowed for sponteneity and a wide range of works over many years which are in various locations internationally and New Zealand. 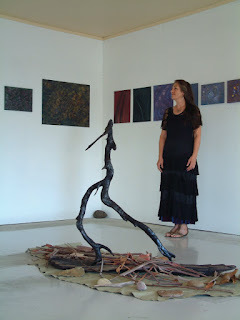 The Moirai Studio/Gallery is the result of our long held dream now brought to fruition. Working in harmony together with Seabourne is both an honour and more than a little bit of magic! Whatever your taste, you just may find it here! 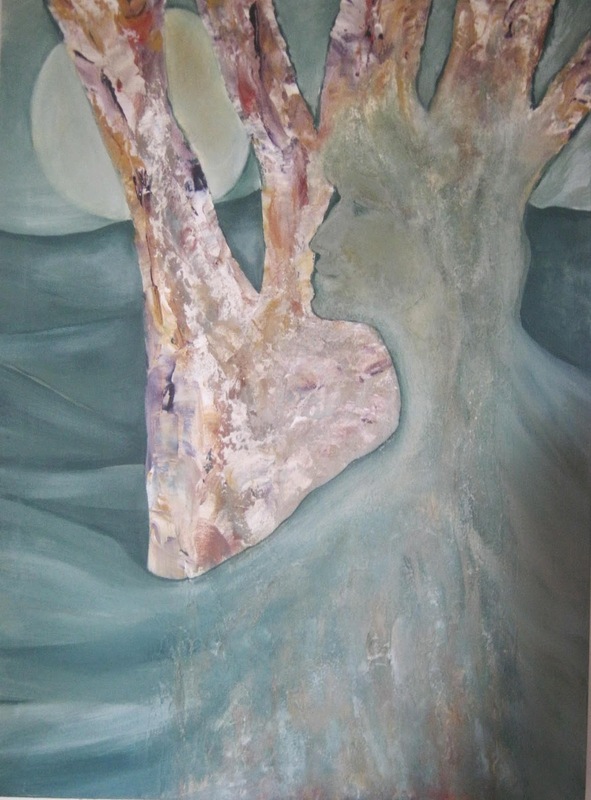 I am an artist, writer and paleontologist, my paintings weave together a love of nature, ecology, history and spirituality. 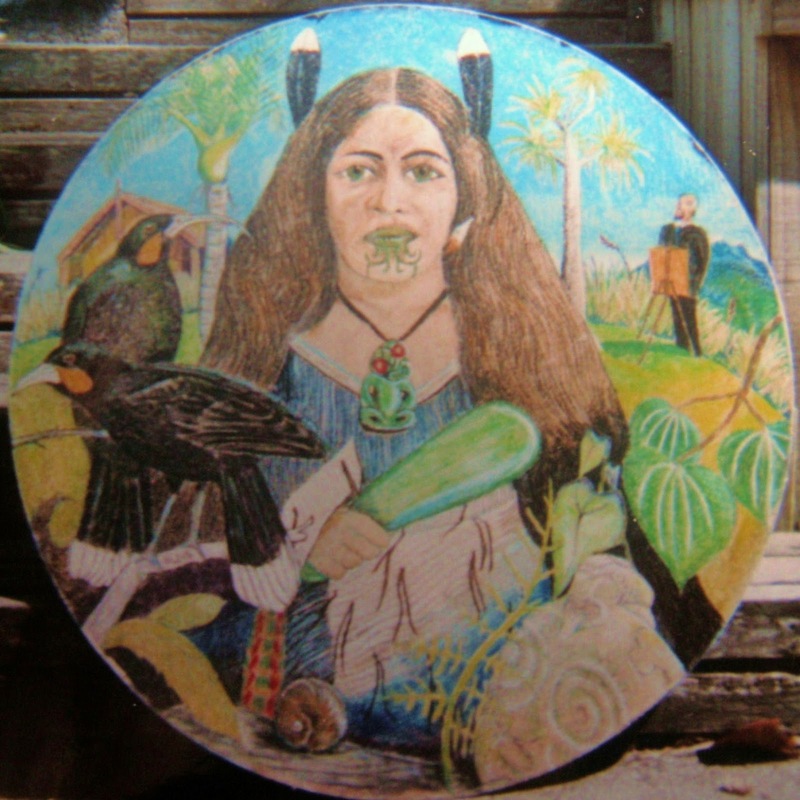 Each unique work is produced 'from the heart', and attempts to convey colour, beauty, and deeper layers of personal meaning. 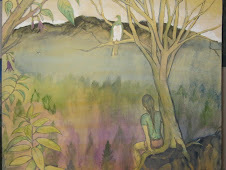 I have drawn since a child, and have exhibited here and there over the years. 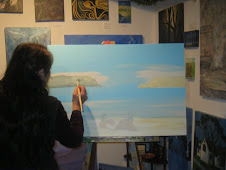 I chose not to undertake formal art training, preferring instead to seek out and develop my own pathway(s) of creative expression. 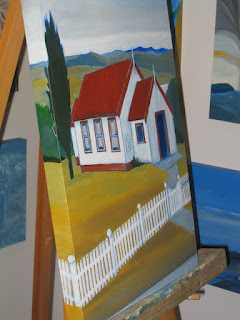 However some artistic influences include Van Gogh, Nicholas Roerich, Rei Hamon, J. Chaffey, H. Rust and D. R. Yanakopulos, as well as my experience of life in Aotearoa. Since the earliest periods of pictorial creative expression, artists have explored the use of naturally-occurring pigments, in particular those derived from crushed soils and mineral oxides, ash and plant extracts. 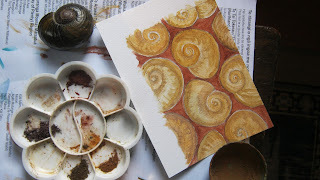 Of those substances derived from the ground, the use of such pigments as paint (when combined with natural oils) to create coloured artworks reinforces, and enhances, the connection between artist and the Earth itself, the source of all around us. Northland is a wonderful hunting ground for earth pigments! 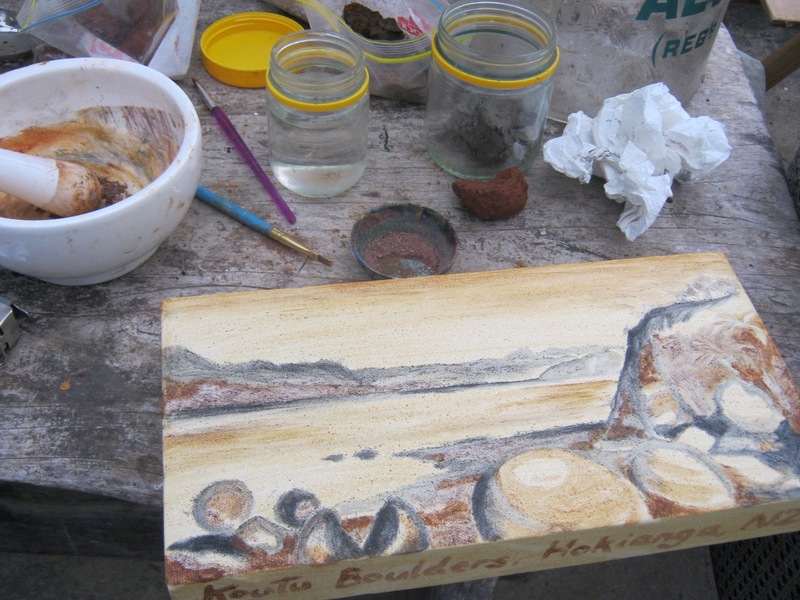 In particular the Hokianga area, with the combination of complex geology and high rainfall contributing to a variety of rich-coloured, severly weathered rocks and derived clay soils ideal for paint-making. 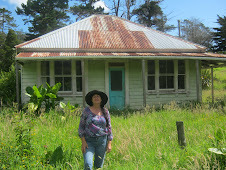 see my article in NZ Artist magazine Dec 2014. 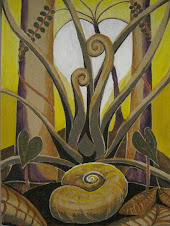 Village Arts Easter 2007 Solo exhibition "Relinquishing Control"
Here we present selected 'hit pics' - artworks from the Moirai Studio/Gallery and other venues. "Rest and Relaxation - Hokianga Harbour" by Diane is a colourful scene on canvas 40 X 30cm. This painting by Seabourne of "Whareakeake" is a special commissioned work, depicting the Otago coastal landscape as it may have looked several hundred years ago, prior to European settlement and deforestation. 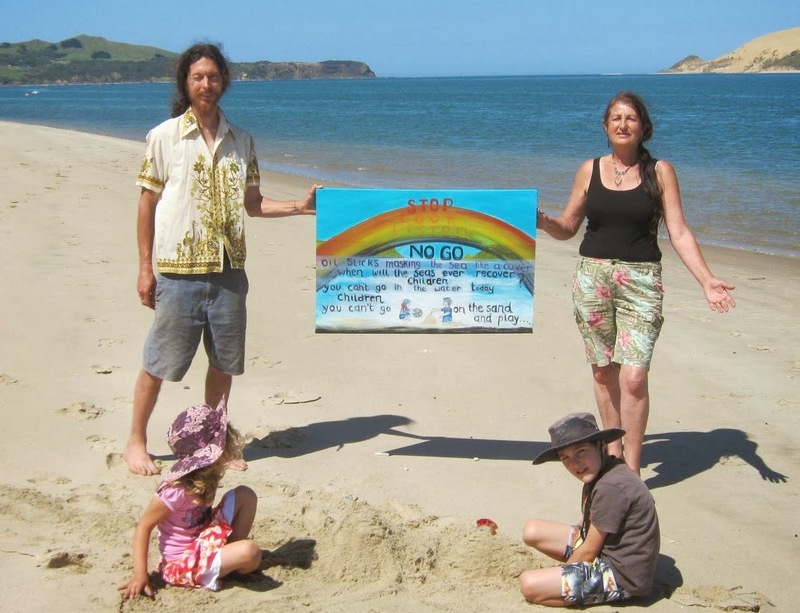 Artists statement: "…a scene witnessed one morning at Koutu Point, Hokianga harbour. Here a group of pied shags sat on the remnants of the old jetty (site of an early kauri mill), resting, sunning themselves and sharing an unspoken korero. 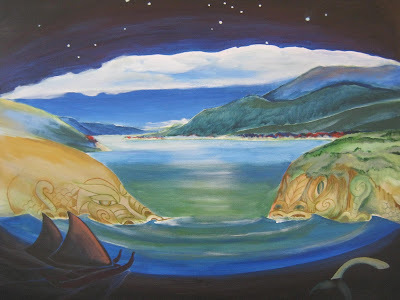 Beyond Pakanae and the sacred pa Whiria, the forested hills of Waiotemarama watch over…"
"Towards Kawerua" acrylic on canvas approx 30 x 15 cms shows a sweeping view from the Katui hills where a steep road winds its way down towards the Tasman Sea. 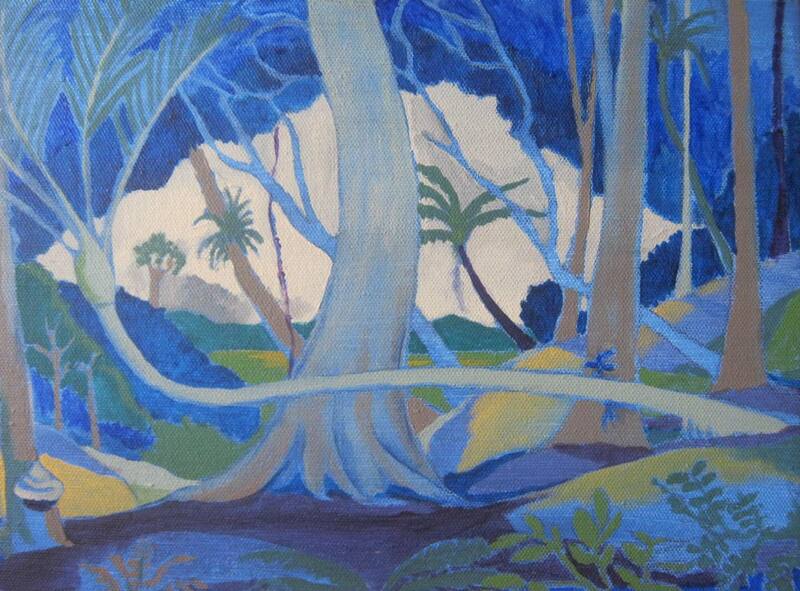 This work by Seabourne has now sold. 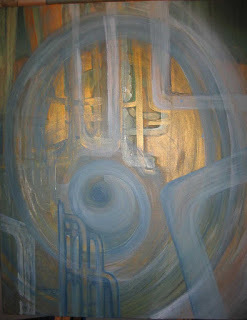 "Abstraction" an acrylic on 90 x 60 stretched canvas by Diane has a visual impact with its gold sheen reflecting with the movement of light.This work has now sold and resides in New York! Packaging and freight options can be arranged. ...and more from Moirai ! 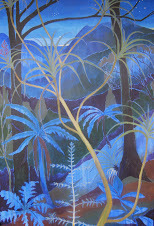 ...old country churches, native forest scenes... and more to complement our extensive range!! 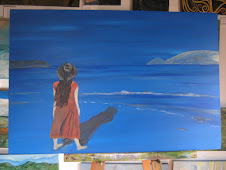 We have completed a number of successful commissioned paintings and welcome your enquiries about ordering your own personalised artwork (which will include photos of the work in progress and artist statements). 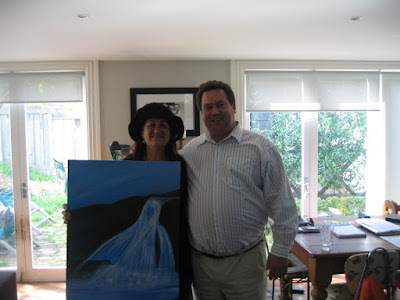 Below are photos of prominent New Zealand/International business person Mr. James Martin receiving his commissioned artworks for his home and business premises. Mr. Martin has given his permission to use these photos, with his blessings and recommendation as to our presentation, integrity and quality of our works personalized for him. 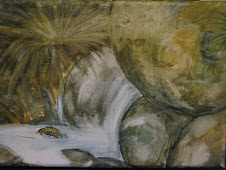 incorporating the energy and chi essence of waterfalls..
conveying a sense of the spiritual with its many crosses and open gateway..
Dont hesitate to email us with your ideas for a commissioned painting! 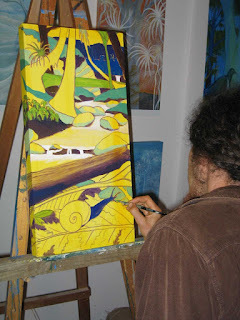 We have experience in creating personalised artworks with a touch of magic! 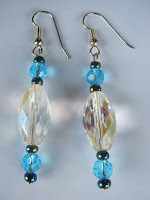 Your input on the subject and size of the work can be incorporated, and we will keep you informed of progress! 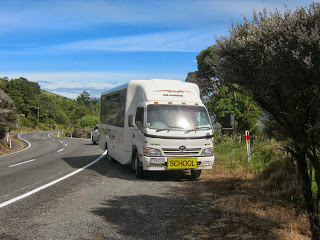 The bus arrived with 28 children plus teachers and other kaitiaki on board from Hokianga's own HOREKE SCHOOL' The day was stunning.. Brilliant sunshine with a gentle breeze. Everyone was excited. 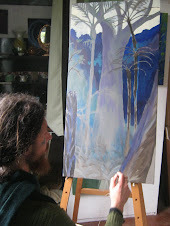 Wow - coming to visit a homebased working art studio and meet the artists! When they arrived there were several art easels set up with various paintings so that different styles, mediums and textures could be discussed. There was a vast range of subjects covered, but the most important message was that we wanted to encourage each and every child to be proud of whom they are! This was a really special visit and we sent each of the children away with their own Postcard of an image of one of our original paintings to show and share and to hold onto memories of their visit to the magical kingdom of Moirai! Go well, Horeke School.. always aim to do and be your BEST!!! Thanks to the teachers and those whom made this visit possible. It was very special for us, also! 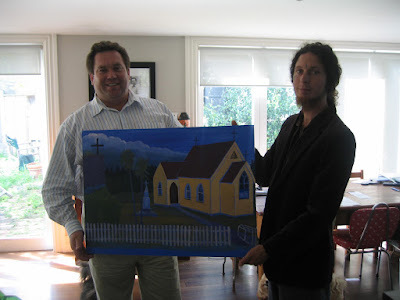 ....and always remember, your Paintings can send a message to the world! 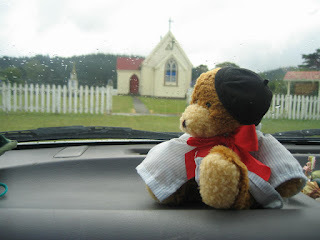 PURUA SCHOOL 2011 COMES TO VISIT! 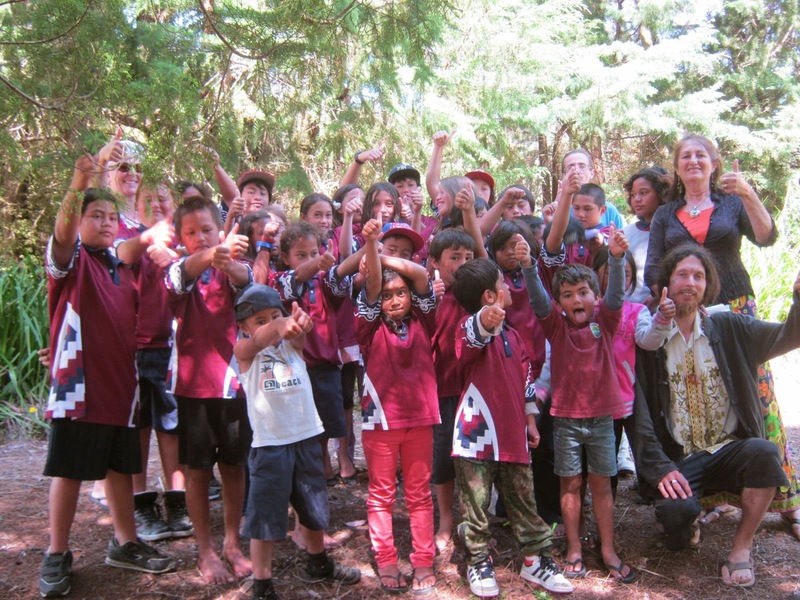 Purua School, Northland, organized a visit to the Moirai Studio as part of their children's holiday camp experience. 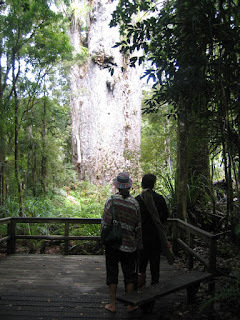 Visiting the Waipoua Kauri Forest was part of their schedule and with the Moirai Studio just nearby, it was an opportunity to incorporate creative art learning as well. Our brief was for the children to meet real artists and to encourage a spontaneous art class in our studio. We were delighted as the children asked so many questions relating to our techniques and details within our paintings with a genuine interest. This then enthused them to concentrate on their own wonderful drawings which were so individual and with so much care and talent!!! Thanks to Purua School, Mrs. Moselen, and other adults whom accompanied the children. 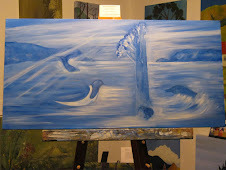 You can all feel proud of yourselves ~ and may you always retain your love of nature and art! 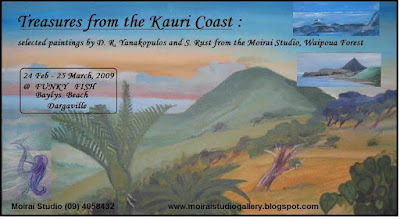 Report on 'Treasures of the Kauri Coast' exhibition! 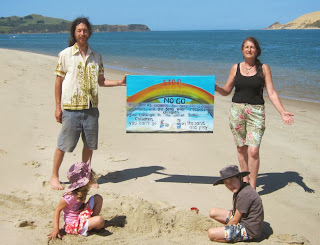 During our successful exhibition held at the Funky Fish, 34 Seaview Road, Bayly's Beach, Dargaville, Northland ~ 24th February to 20th April 2009, over 25 of our original paintings adorned the walls of the Funky Fish, each with a written artist's comment (statement). 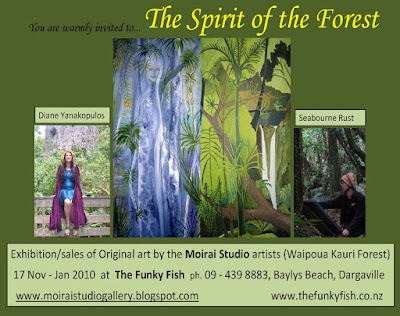 ... During Dec. 2009 - February 2010, an exhibition was held of our original paintings - inspired by the magical atmosphere, environment and visionary stories of the Waipoua Kauri Forest, which surrounds our studio. 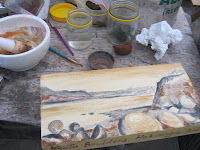 Pearls of wisdom are found in special places when working in harmony with nature, and each other ... rare moments, time for reflection and contemplation, on the artists journey. 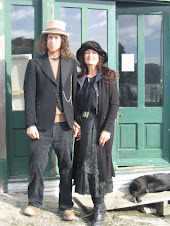 The artists in residence are: Diane Yanakopulos and Seabourne Rust. Winston Fiddlesticks and Queenie are the resident studio dogs.